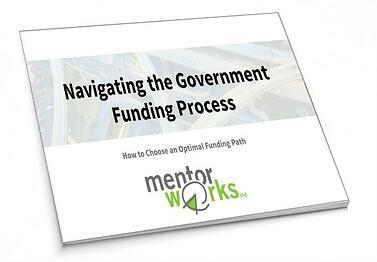 Accessing government funding can be complicated and often requires considerable time and resources. While some companies choose to apply for funding on their own, others opt for support services to help. Fortunately, this free guide explores all options available when it comes to developing a plan, writing your application, and sending it for review. It enables you to evaluate the application methods that make most sense, from completing applications independently to receiving comprehensive support. Fill out the form on the right-hand side of this page to gain free access to this slide deck. Government funding can greatly improve project outcomes and help leverage new market opportunities. Don't miss your opportunity to access funding; learn how to navigate the funding process and begin submitting applications today.